A horizontal pan 3d rendering of a salad background with shining cylinders, moving bar charts from crisscross arrows and rectangles, cubes, a grate in seamless loops. 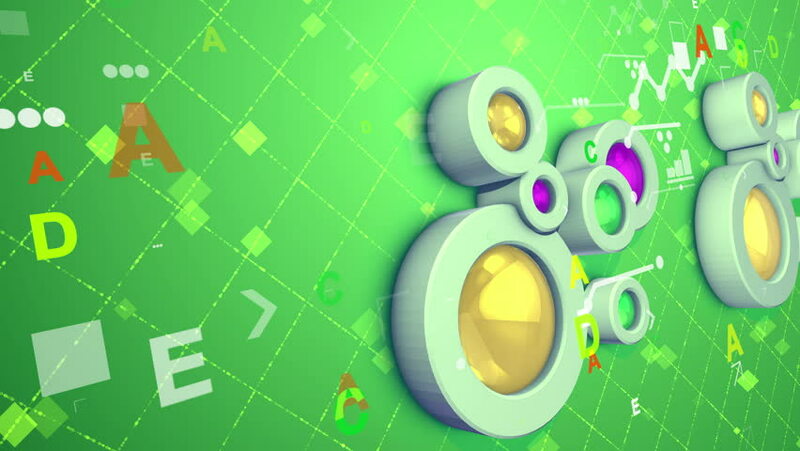 4k00:10An arty 3d rendering of a light green background with golden cylinders, moving bar charts from crissscross lines and rectangles, cubes, letters, a network and tiny dots in seamless loops. hd00:20Animation moving of colorful badges with word of love. Animation of seamless loop. hd00:18Dollars macro. Very detailed image of American money.